Bring the coconutmilk to a boil in a pan, mix in the red curry paste and leave for 5-10 minutes. Mix everything together and let it sit for 10 minutes. This allows the red curry paste to stifen a bit which makes it easier for the next step. 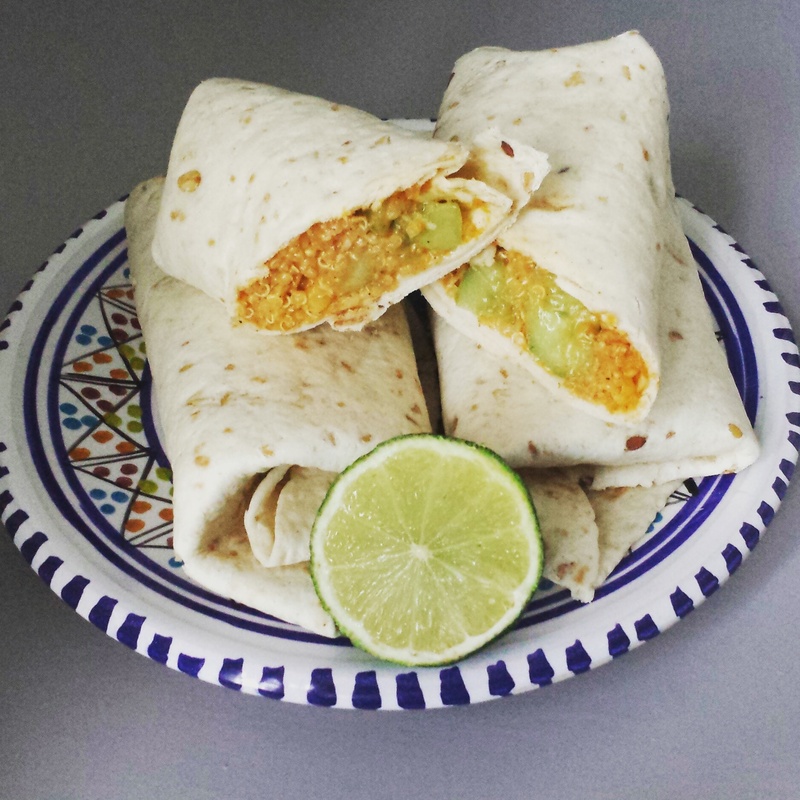 Fill your wrap/ tortilla et voila!